It’s that time of the year again. 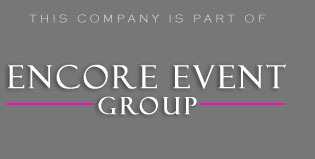 Encore is super busy entertaining wedding receptions. However, you will also find us DJing parties during the weekends. We serve the entire state of Michigan, but a majority of our business is in the Oakland, Wayne, and Livingston Counties. This time, we celebrated with Erica’s friends and family for her Livonia grad party in the backyard of her families house. Whenever you are expecting a lot of guests, it is best to have one or two tents available. This gives guests a place to go in-case the weather does not cooperate. Most rental companies in your city will also provide chairs and tables with their tents. Make sure to have your setup dimensions and guests count before calling them. It will help with answering their questions and getting an accurate quote. Since everyone was already outside, we setup our DJ entertainment equipment on the back patio. It was the perfect location, because the sound carried very well. One of the only problems with planning outside events is the temperature. If it is too hot, then guests might get uncomfortable. I can tell you one thing, it was extremely hot on this day. Luckily for the guests, Erica had a above ground pool setup right next to the tents. This way if guests got too hot, all they had to do was take a quick dip in the pool. This is a great way besides fans to help family and friends cool off. We played some soft low-key music for the first portion of the party. This is the best time, because you don’t want to overwhelm guests as they are arriving. After the meal, the dance was officially opened. Finally it got dark enough to open the dance floor under the stars. This has to be one of the best ways to end the evening. If you need help with planning your outdoor grad party, contact us today. You can get started by simply checking your dates availability above to find out Michigan DJ prices. We would love to find out what kind of event you want to plan. Find out how our bundled options can enhance your party by clicking the image below or checking the availability of your date. Our team of talented disc jockeys, can assist you with Michigan uplighting and other aspects of your event. Do you need help with a photo booth, we also offer those. Anyway you say we are looking forward to exceeding your expectations.